We've been trying our hand at growing vegetables, and one of the few things we've actually been able to grow in abundance has been Silverbeet! 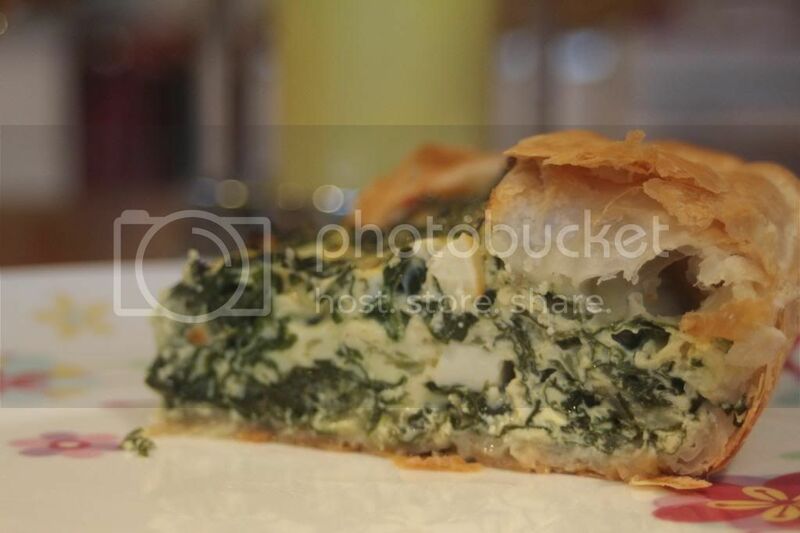 I found myself with too much to know what to do with, and a quiche seemed like the perfect option! 2)Take 1 and a half sheets of frozen flaky puff pastry out to thaw 10-15 min before starting to prepare the rest of your ingredients. 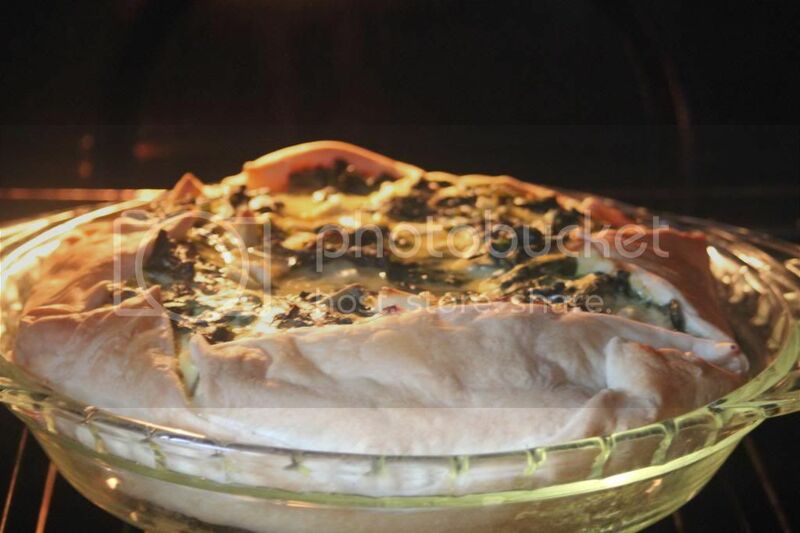 3) Line a quiche tin with baking paper/ spray with cooking oil. 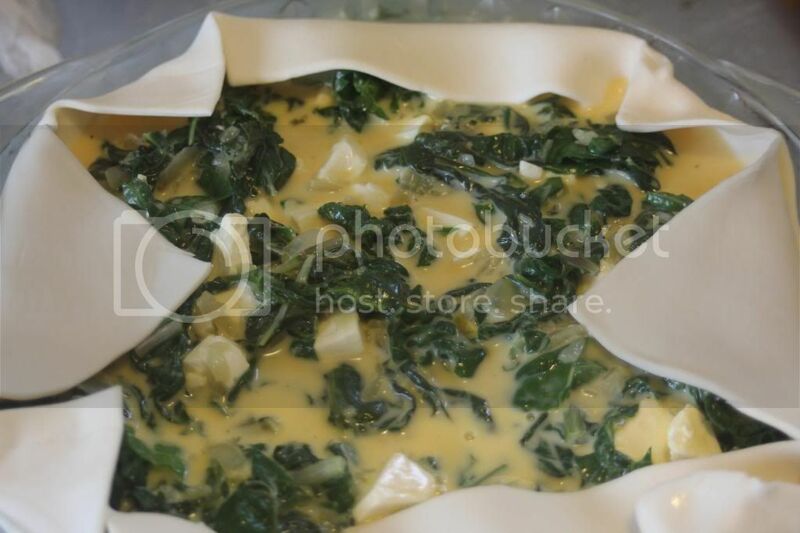 4)Press pastry into your quiche tin, you may have to chop random bits of the half sheet and press into the main sheet of pastry to cover the whole tin. Place in the fridge until your just about to put your mixture in. 5) Heat your vegetable oil in a fry pan, cook onions and garlic for 5-10 minutes until translucent. 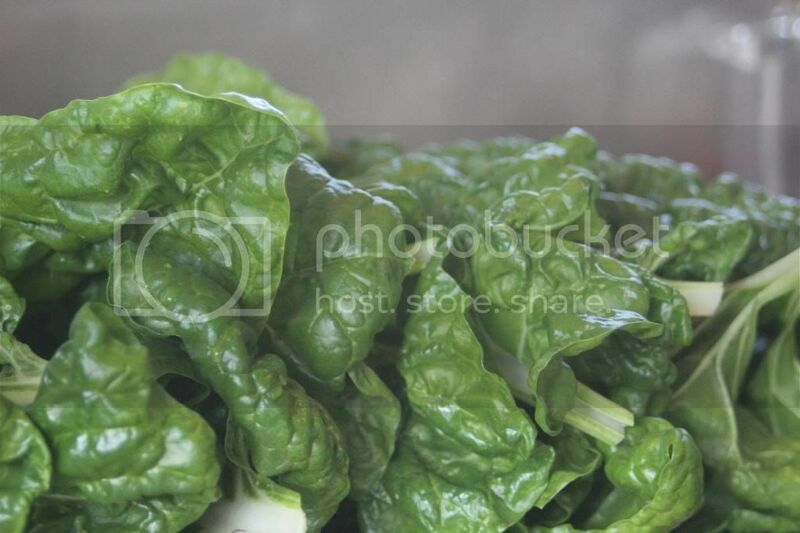 6) Add silverbeet to the fry pan and continue to cook until the silverbeet just starts to reduce in size. Take off heat, set aside. 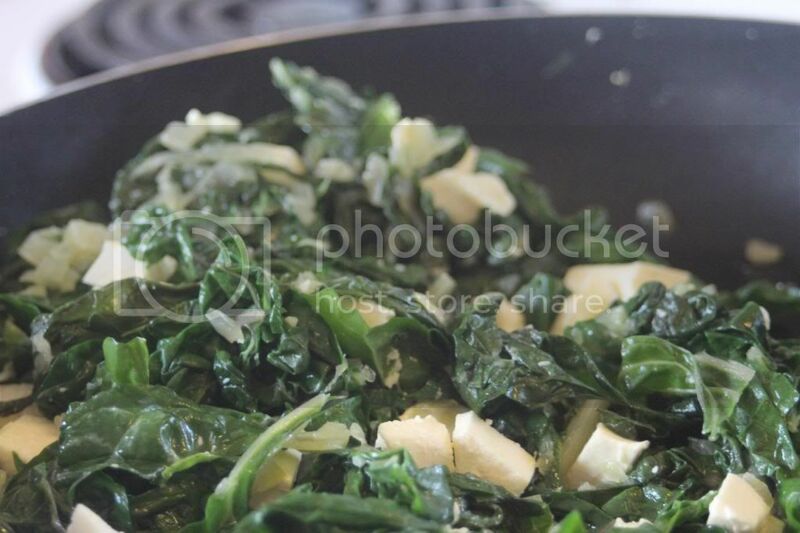 7) Crumble feta into the silverbeet/ onion mixture. 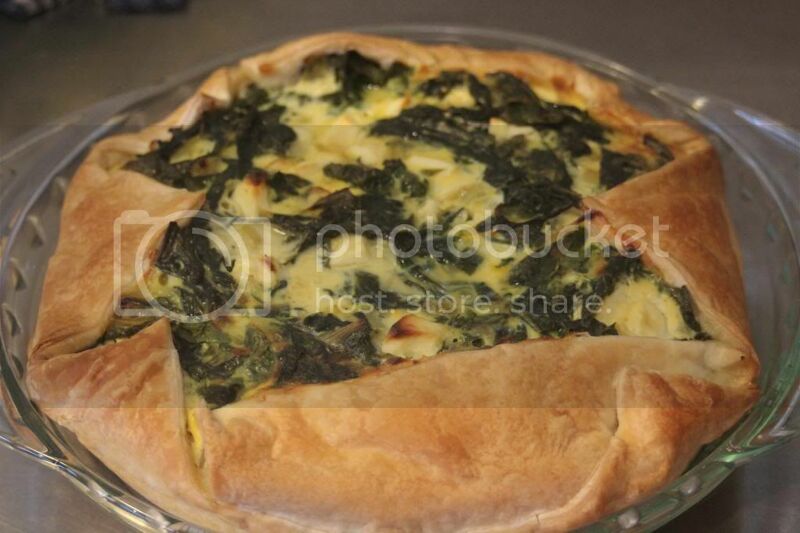 8) Place your silverbeet/ feta mixture into the pastry lined quiche tin. 9) In a new bowl, whisk together eggs, yolk milk, nutmeg, salt & pepper. Pour over the back of a spoon, over the top of the silverbeet mixture. 10) Fold down the corners of your pastry for an old fashioned look. 11) Bake in the oven for 45-60 minutes until pastry is golden brown and the mixture has cooked right through....just make sure you keep checking after about 45-minutes! YUM!!! This looks so delicious! Have to try this! Love your blog by the way ! Oh thank you love! It sure is tasty, it reheats well too so perfect for lunch the next day also! My first ever outfit post! Edamame and Miso...a snack under 100 calories!